WINSTON-SALEM, N.C. — A restaurant in North Carolina has discontinued issuing random discounts for patrons who pray over their meals after a prominent atheist organization threatened to file a lawsuit over the matter. Mary’s Gourmet Diner has been randomly issuing customers a 15 percent discount for “praying in public,” that is, praying over one’s meal, for the past four years. When a photograph of a receipt that included the “praying in public” discount recently was posted online, Mary’s Gourmet Diner was flooded with both positive and negative feedback. After learning of the matter, the Madison, Wisconsin-based Freedom From Religion Foundation sent a letter to Haglund, demanding that she discontinue the practice. 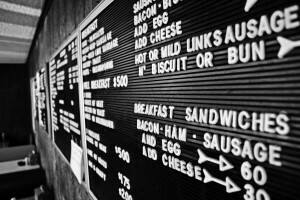 On Wednesday, the Winston-Salem Journal reported that the restaurant had posted a handwritten notice that it had discontinued the practice.